Pave the way through the streets of Hong Kong in a dynamic action movie with a top view. Inspired by classic action films, The Hong Kong Massacre will let you find yourself in the middle of a dashing story of revenge, filled with brutal cinematic shootouts and vivid images of the underworld. 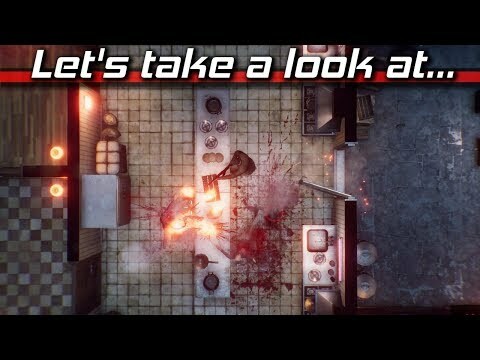 Try on the role of a former police detective who is eager for revenge for the murder of a workmate, and use all his firepower in combination with jumps, evasions and even slowing down time to pay off criminals. Jump out the windows or hide as soon as you feel the danger – every shot can be fatal, so always study the environment and use the objects at hand. When the situation gets out of control, slow down and think about your next steps. Destroying enemies, do not forget to dodge bullets – and remember, time slows down for only a few seconds, so act quickly, think ahead and try to survive. At each level, you are waiting for a variety of tests to unlock new types of weapons, so always be ready for firefights, even in restaurants or on the roofs of the city stern and drowning in crime.